B2B marketing budgets took a hit during the recession. Most still haven’t recovered. Many don’t need to, because smarter tactics are generating better returns at lower cost. But it’s not just a matter of spending smarter - there’s a strong case for organising differently. Has your organisation made the transition yet? In a recent white paper, Nick Hayes of Influencer50 made a compelling case for organising marketing along the lines of outcomes, rather than functions. It’s a trend that I’ve started to observe in a growing number of highly successful organisations - and I’m convinced that it’s an idea whose time has come. Like so many other functionally aligned organisations, traditional marketing departments - focused around the conventional disciplines of Advertising, PR, Direct Marketing, and so on, have struggled to step back and make intelligent choices about where marketing monies and resources should best be spent. I want to develop an idea that Nick raised in his article, and suggest that tomorrows most effective marketing organisations will be organised around the outcomes they are trying to achieve. My three candidates for the pillars of these new organisations are Customer Acquisition, Customer Development, and Sales Enablement. We’re moving into a world where no future marketing expenditure is likely to be sanctioned unless it can be shown to add value to and advance the prospects’ (or customers’) decision making processes, or it can be shown to enable the sales force to achieve the same. 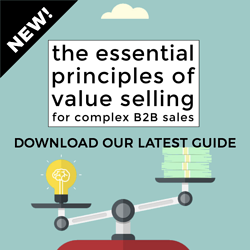 B2B organisations have come to recognise that the primary way in which their brand and reputation (let alone their revenue) is built is through the quality of interaction between the vendor and their customers and prospects. The great thing about interaction is that it makes it easier to establish evidence of tangible progress. Instead of throwing money at broadcast marketing techniques that achieve single digit (at best) responses, a focus on interaction - on the conversation between a company and its markets - makes it easier to measure results, reinforce what works, and eliminate wasted efforts. The first task of any modern B2B marketing department should be to create interactions that lead, directly or indirectly, to winning new customers. So it makes sense to me that the first group within any modern marketing department should be focused on the task of identifying and connecting with new customers. The first sale to a brand new customer is typically only scratching the surface of their long term revenue potential. So the second task of any modern B2B marketing department must be to find ways to unlock that latent value by up-selling, cross-selling and retaining these hard-won new customers and turning them from users to enthusiastic advocates. Customer retention and development is central to any SaaS based software vendor. But the disciplines of increasing average revenue per customer and reducing churn are relevant to any B2B vendor. Outcome-based rewards are simpler here too, with a focus on renewals, up sales and cross sales. Last but by no means least for any organisation that employs a sales force, is sales enablement. 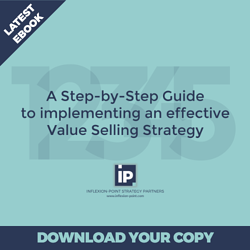 Here the emphasis of the marketing department must be to equip the sales team to qualify more effectively, to facilitate their prospect’s buying process, to increase win rates and to shorten sales cycles. Once again, the desired outcomes are easy to measure and to reward. Organising marketing around outcomes rather than functions has another not-to-be underestimated benefit: it helps to align the traditionally adversarial sales and marketing departments around a common set of goals, measures, metrics and rewards. How Are You Organised Today? How is your marketing department organised today? Are you still focused on functions, or have you made the move to organising around Customer Acquisition, Customer Development and Sales Enablement. Or have you found another more effective way of organising and focusing your resources? Whichever way, I’d love to learn from your experiences.